This important exhibition by indigenous photographer Barbara McGrady breaks new ground in its capacity to represent photography’s mutability as a medium in its ability to express the subjective voice of the photographer. McGrady is a Kamileroi woman born in Mungindi, northwest NSW on the Qld border.She has won a National Indigenous Human Rights Award in Photojournalism in 2014 (the Anthony Mundine Courage Award) and Solid Screen International Award for Indigenous Women in Film and Photography. These works stand as historical documents of political, social and community events that hold unique value within the indigenous community. They prove that visual records are shaped entirely by our own social and personal position within a history. Contemporary images of indigenous people primarily within the urban environment of Sydney become a powerful narrative about what it means to be kooris in Sydney and First Nations in the new millennium. McGrady exclusively documents indigenous events including sport (she is unique as an indigenous, woman sports photographer), protest, indigenous ‘celebrity’, arts and culture and everyday life. She is plugged into events that are considered of importance within the community. For white Australians this is an invaluable opportunity to see the world from an indigenous perspective. 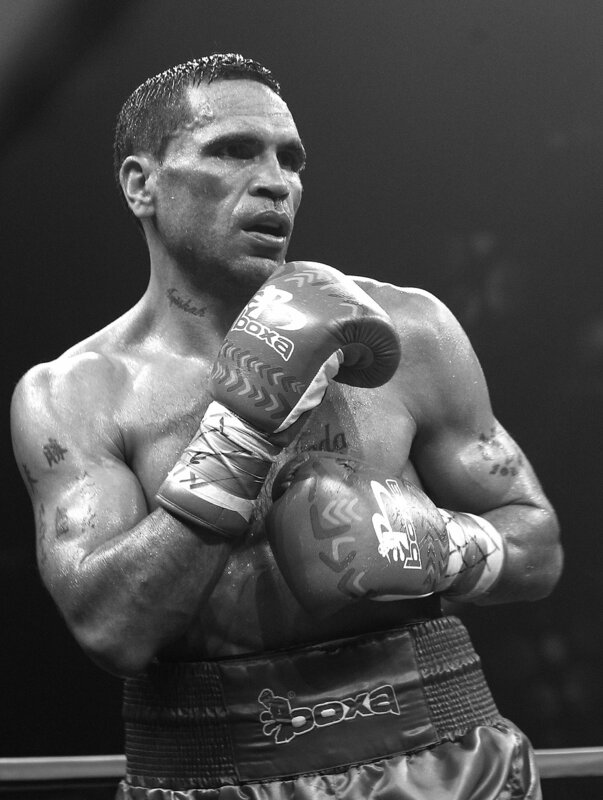 We see Anthony Mundine in the Redfern gym where he trains, the Redfern Aboriginal Tent Embassy as it happened in 2015 -16, Jessica Mauboy from the beginning of her rise to fame, indigenous dance and ceremonial performances at places like Barangaroo and the Sydney Opera House and a striking portrait of Gary Foley, the legendary activist and historian. McGrady’s photographs are uncompromisingly real. It is her life purpose to document the community she knows and loves so well through her skills as a photojournalistand as an interpreter of political and social events. The first thing an indigenous person asks on meeting another is ‘Who are your mob and where are you from?’ This knowledge establishes the person within their land and community. McGrady moved to Sydney in the 1970’s based in Glebe which along with Redfern and Waterloo are Sydney suburbs that have been important historic locations for indigenous people who moved to the city from locations in the country. Barbara McGrady: Always Will Be is an important exhibition in that it speaks to all Australians with an entirely indigenous voice. It is an opportunity to tune in and relate to indigenous culture and lessen the difference of experiences that exist in this country. Through knowledge comes understanding. In the hands of an informed and skilful artistphotography can be a powerful tool for change.